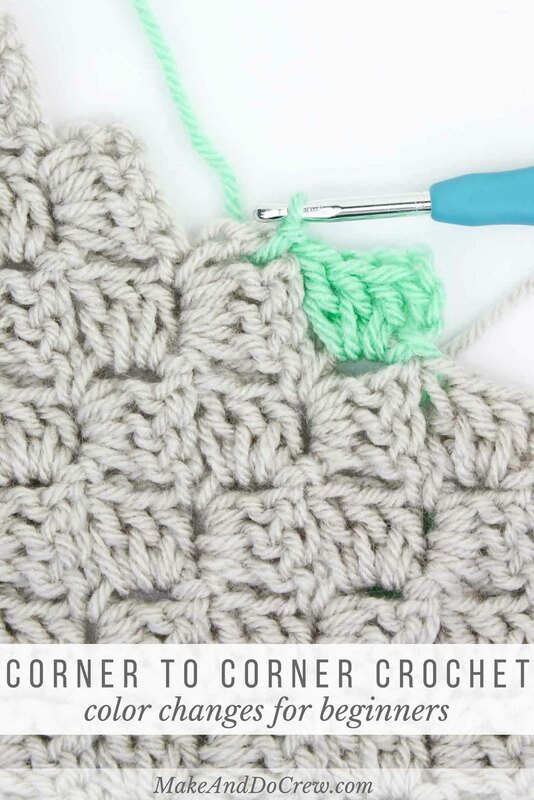 Learn how to change colors in corner to corner crochet with this great step-by-step photo tutorial. Corner to corner crochet is a great technique to learn. Add changing colors to this technique and you’ll learn to make lovely designs.